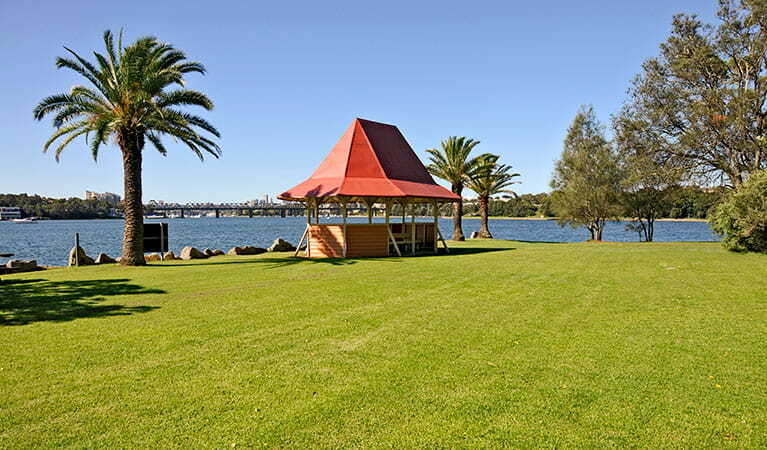 Rodd Island in Iron Cove is a peaceful paradise that is the perfect location for a wedding ceremony, corporate picnic or incentive day. 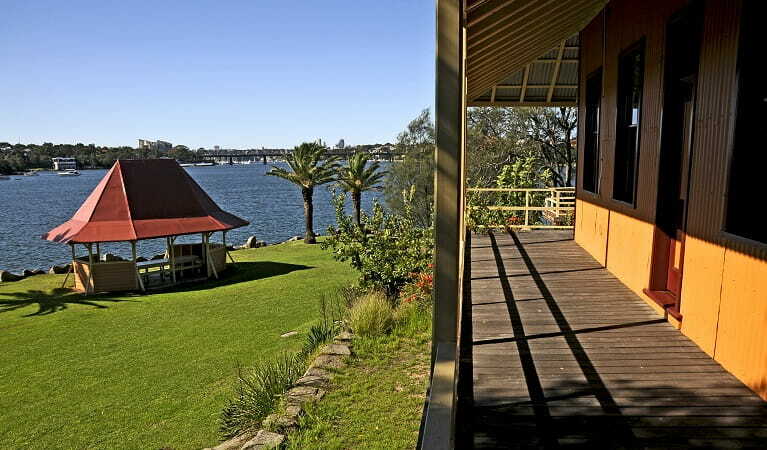 Relax in one of the lovely summer houses and enjoy spectacular views of Sydney Harbour Bridge. "Rodd Island, located in the sheltered waters of Iron Cove, just off Birkenhead Point, has a colourful history and boasts some of the best views west of Sydney Harbour Bridge. This perfect venue hire option is in the farthest west of the harbour islands within Sydney Harbour National Park. While celebrating your special day, you and your guests can walk through the expansive gardens, enjoy a private waterside location and explore the historic buildings, including a dance hall and 2 summer houses. In 1879, Rodd Island became the first public recreation reserve in Sydney Harbour. It was also used as a biological laboratory and US army training ground during the Second World War. 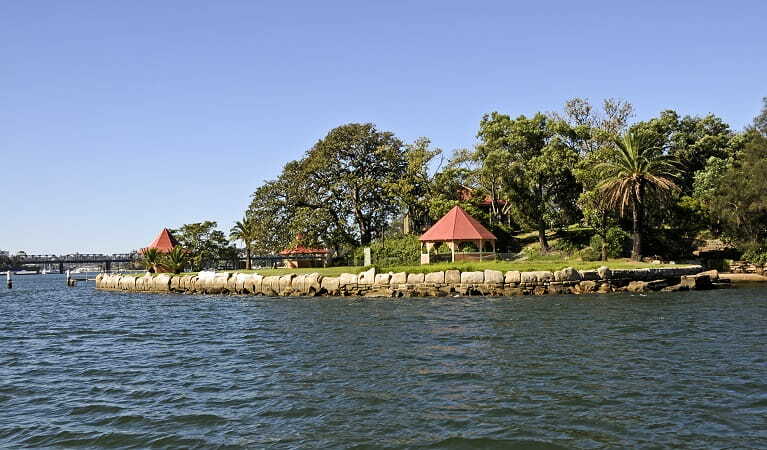 A unique venue hire option offering unique island charm, Rodd Island is among Sydney’s best venues and is available for hire for wedding ceremonies or corporate functions. 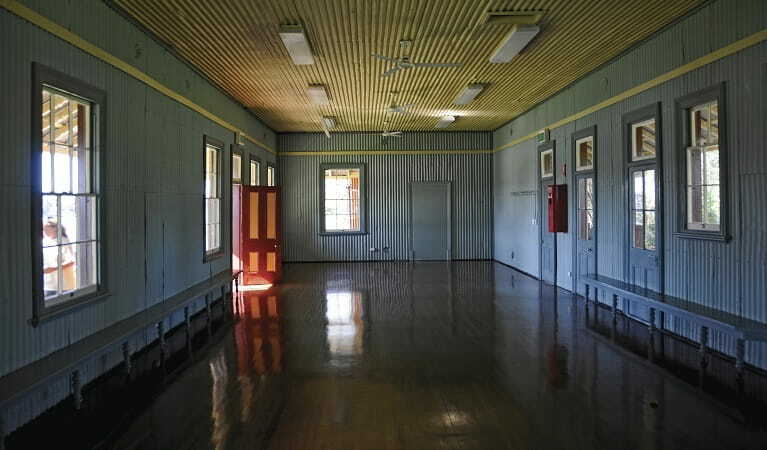 The 1920s dance hall is available with exclusive hire of the island.